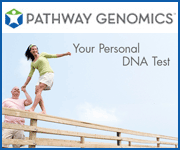 Find ancestry DNA test products and services with expert interviews, informational guide and more. Description: The World DNA Population Match - DNA Genealogy - Compare your DNA to over 250 different populations from all over the world in order to establish your present day genetic match. This is one of the latest DNA tests and can be carried out by both males and fema les. Description: DNA Identity Testing Center is a leading provider for Legal DNA Test, Legal DNA paternity testing, Immigration DNA Testing, Infidelity Detection and DNA testing services. Our results are in compliance with AAA standards that are equipped with the best state- of-art instrumentations. Description: Affymetrix is dedicated to developing state-of-the-art technology for acquiring, analyzing, and managing complex genetic information for use in biomedical research. Affymetrix sells GeneChip® brand microarrays. Description: The GeneChip® Mapping 500K Array Set enables highly powered whole-genome association studies. Description: The GeneChip Human Mapping 100K Set is part of a growing family of products for copy number analysis. Description: The GeneChip® Mapping 10K 2.0 Array contains equivalent content and performance as the original GeneChip® Mapping 10K Array. Description: GeneChip® Universal Tag Arrays are available in 3K, 5K, 10K or 25K configurations. Description: The GeneChip® AutoLoader is designed for use with the GeneChip® Scanner 3000 7G and 7G Plus to allow maximum throughput and walk-away automation of the GCS 3000 7G and 7G Plus in a tempature-controlled environment. Ancestry DNA testing is used to test one’s ethnicity. Tests may be used by people interested in learning more about their lineage for family tree research or to apply for minority status for school or employment opportunities. To learn more about Ancestry DNA testing, see our Ancestry DNA Test Guide and our interviews with genetic test experts Kristine Ashcraft and Dr. Michael Baird.